Did we mention that if you buy the print version, you can get the Kindle version for $2.99? Four major policy types are addressed in its 17 chapters: commercial property, commercial general liability, business auto and homeowners' protection. 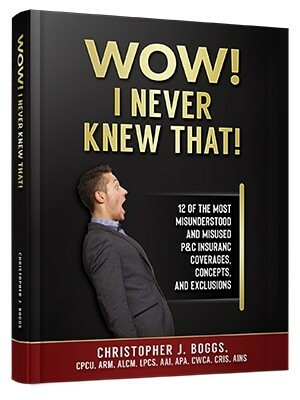 This is for insurance professionals who desire to understand coverages other insurance pushers ignore.